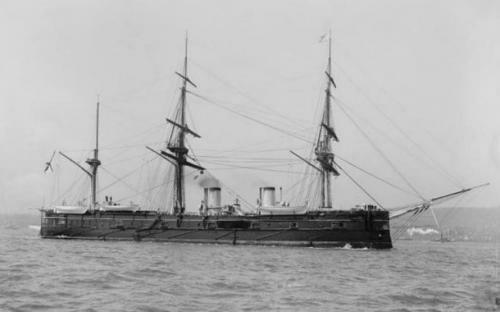 A South Korean salvage team has discovered the wreck of a Russian warship that was sunk in a naval battle 113 years ago and is believed to still contain a trove of gold bullion and coins worth 150 trillion won, or £100 billion [USD $113 billion] reports the Telegraph. According to the Telegraph, the Dmitrii Donskoi was carrying the Russian fleet’s funds and went down with 5,500 boxes containing gold bars as well as a separate haul of 200 tons of gold coins. The ship apparently avoided a Japanese fleet but then disappeared--until now. The salvage company said it is aiming to raise the ship in October or November. Half of any treasure found aboard the vessel would be handed over to the Russian governmen. A portion of the rest of the treasure will be donated to joint projects to promote development in north-east Asia, the company said, such as a railway line from Russia to South Korea through North Korea. See that? If they would have been using fiat notes like there modern brethren those Ruskies wouldn't have lost all that hard money and would have had a much lighter payload.